With Christmas already over, your stockings may be packed away and the Douglas Fur already rotting by the curb; while it may be too late to hope that Santa will bring you a shinny new Galaxy Nexus, the after Christmas sales are just getting warmed up meaning there's still a chance to bring a little Android fun into your holiday season. The Samsung Galaxy Nexus and the Galaxy Note are arguably the two most advanced phones currently shipping from the Korean peninsula. We already brought you a short video comparison of both Samsung phones, but now our friends over at newgadgets.de have brought out a second, more detailed comparison of the two Android handsets. Still undecided how to spend that extra cash grandma slipped into your Christmas card? Check out this comparison and see which phone is the right Android device for you. Personally, I fell in love with the Galaxy Note the first time I had one in my hand back at this years IFA in Berlin. While some say it's monumental size is just too big for a smartphone, I wasn't bothered by it's large format. With a 5.3", Super AMOLED display, it is the largest smartphone on the market and the huge viewing diagonal combined with the crisp colors of Samsung's Super AMOLED tech make it one impressive phone to use. It is one of the few devices where I could imagine comfortably watching a full length film or actually taking advantage of the new productive possibilities like video or picture editing. Of course the Galaxy Note's hefty $770 price tag, could scare many away but if you're a working professional looking for an Android device to help them stay on top of their business on the go, it's hard to think of a better device then the Galaxy Note. The Galaxy Nexus, on the other hand, is the Android flagship and represents the direction Google wants to take the Android community. After getting to try one out for a week or so here in the AndroidPIT office, I have to say, if this is the future then the Android community is in good hands. Does the Galaxy Nexus have weaknesses? Of course it does: the lack of SD card slot and the middle of the road camera mean that it might not be the right phone for everyone, but the Galaxy Nexus represents a new emphasis on form AND function and the sleek body design make the Galaxy Nexus a pleasure to use and a phone that just feels good in your hand. Check out the following video comparison of the Galaxy Nexus and the Galaxy Note, if you're still undecided what should be your next smartphone. Does the Galaxy Nexus have the best display or is it the Galaxy Note? 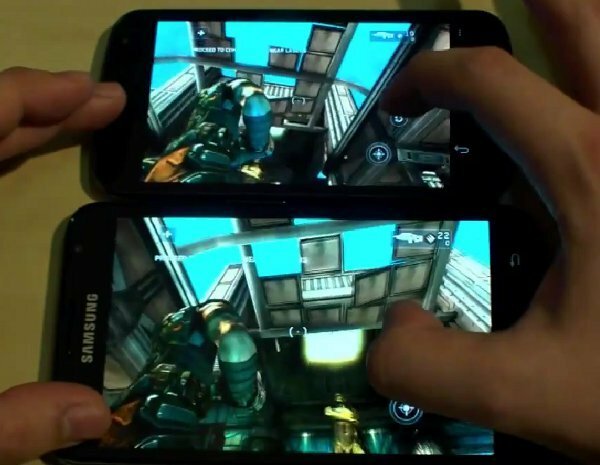 Does the Note's faster processor trump the performance of the Galaxy Nexus? Or does the Nexus' ICS optimization pull through in the end? Check out the video to find out! Fore sure! The Nexus is about design not really about function. It's a good phone but not a hot rod if you get my drift. Don't forget that Galaxy note is the most technological device from Samsung. And nexus has no the super-uber-high-end specs thougs ICS makes any device run magically and fluidly fast.